Lehman Brothers went bust on September 15, 2008. It has been ten years since then. In the aftermath of the financial crisis that started once Lehman Brothers went bust, the Western central banks printed a lot of money to drive down interest rates. As Mariana Mazzucato writes in The Value of Everything-Making and Taking in the Global Economy: "In the US, the Federal Reserve embarked on three different quantitative easing schemes, totaling $4.2 trillion over the period 2008-14. In the UK, the Bank of England undertook £ 375 billion of quantitative easing between 2009 and 2012, and in Europe, the European Central Bank committed € 60 billion per month from January 2015 to March 2017." Quantitative easing was a sophisticated name that economists gave to good old money printing. The difference in this case was that the government bought bonds from banks and other financial institutions to pump money into the financial system. Well, it couldn't have dropped money from helicopters. The idea was to flood the financial system with money. With a lot of money going around, interest rates would go down. At lower interest rates people would borrow and spend money and companies would borrow and expand. People had made their share of mistakes in the run up to the financial crisis and not surprisingly, their borrowing slowed down. Companies did borrow, but not to expand and create jobs in the process. They borrowed money to buyback their shares and drive up their earnings per share. The stock market rewarded them by pushing their share prices up. A huge Rs 24 lakh crore hole... which could affect everything you need to live and prosper - from food to housing, healthcare to cars, and even education. You'll find all details about this Rs 24 Lakh Crore Problem in a confidential report which you can claim FREE right now. 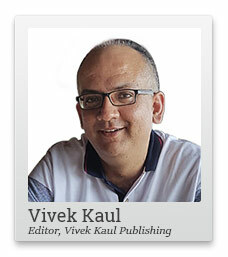 As soon as you sign up, you will confirm your FREE subscription to Vivek Kaul's Diary. This basically ensured that the top management of these companies which owned a bulk of employee stock options (ESOPs) became richer. The economists who define economics to be a study of incentives, did not understand this incentive. What also happened was that large financial institutions borrowed money at low interest rates and invested them in stock markets all over the world. A lot of this money came to India as well, in the aftermath of the financial crisis which started in 2008, after Lehman Brothers went bust. This was primarily on account of easy money at low interest rates being available in the Western world, particularly the United States. Take a look at Figure 1. It basically plots the total amount money invested by foreign institutional investors (FIIs) along with domestic institutional investors (DIIs), every year, over the years. ** Up to August 31, 2018. Figure 1 tells us that FIIs and DIIs have usually operated in opposite directions. The years FIIs have bought, DIIs have sold, or not bought as much, and vice versa. Of all the years, 2012-2013 was the year of extremes. With FIIs buying stocks worth Rs 1,40,033 crore and DIIs selling stocks worth Rs 66,936 crore. The same is true for the current financial year as well. As the stock prices have soared over the last few years, the FIIs have not bought much. A bulk of their buying in Indian stocks happened before and in 2014-2015. Between 2009-2010 and August 2018, the FIIs invested Rs 6,45,917 crore in Indian stocks. Of this, Rs 5,95,155 crore, came in before March 2015. At the end of March 2014, the BSE Sensex was a little over 22,300 points. As of end August 2018, it was a little over 38,600 points. Basically, FIIs have gained quite a lot from the dramatic rise of Indian stocks, by investing early and holding on to their investment. A bulk of their buying in Indian stocks happened when the price to earnings ratio of the BSE Sensex was lower than 19, a clear indication of the age-old stock market wisdom of buying low. In comparison, the DIIs sold stocks worth Rs 1,03,603 crore between 2009-2010 and 2014-2015. This is when stocks were available at a good price. Between 2015-2016 and August 2018, they bought stocks worth Rs 2,67,752 crore. Hence, a bulk of the investment by DIIs in stocks has happened after the stock market has rallied quite a bit. Most of the buying by DIIs has happened at a time when the price to earnings ratio of the BSE Sensex was greater than 22. In fact, DIIs invested Rs 1,14,600 crore in 2017-2018, the highest amount of money they have ever invested in the stock market, during a single year. At the beginning of April 2017, the BSE Sensex was already close to 30,000 levels. This is a clear case of buying high, something which goes against the most basic stock market wisdom. The DIIs have continued to buy during this financial year as well. They have bought stocks worth Rs 44,533 crore between April and August 2018. During the same period, the FIIs have sold stocks worth Rs 16,250 crore. In fact, the DIIs can't do much about it given how fickle the retail investors are. The money that DIIs invest in the stock market, comes to them from the retail investors, and the retail investors only enter the stock market, directly or indirectly, once it has rallied quite a bit. All in all, foreigners have gained more out of the Indian stock market than the Indians, in the last decade. And that's not good news. Once the current stock market bubble deflates, a new generation of Indian investors will come to the conclusion that investing in the stock market is a gamble, which it clearly is not if one invests in an informed way and not just follow the herd. But then its just easier to follow the herd and blame it for investing disasters.